In Granada, toward the Eremita de San Miguel el Alto, there is a small cluster that, at first glance, has the appearance of a slum. 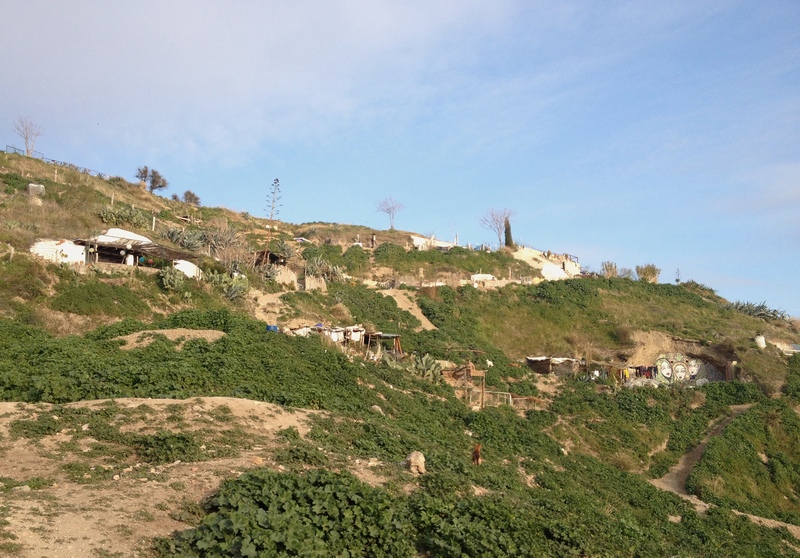 It’s the cuevas of San Miguel: an informal settlement that has the same long history of the city of Granada. Always been inhabited by marginalized people (Christians, Arabs, Gipsy), it is now at the center of a bitter clash between residents and institutional authorities that are trying to redefine a legal condition (through evictions, ordinances and closures) for places that have always been free. The cuevas aren’t an exception. 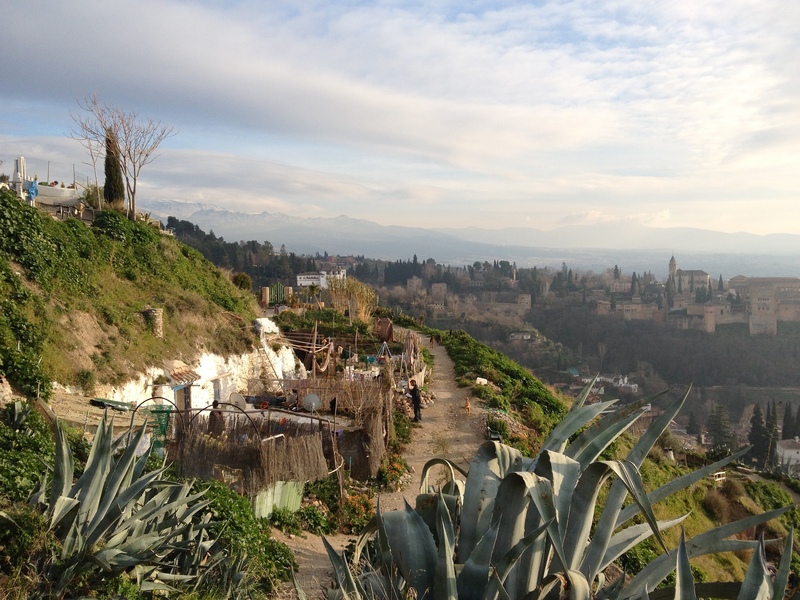 Granada is known for its cuevas: the cuevas of Sacromonte, the cuevas of Flamenco, now standardized and legal. 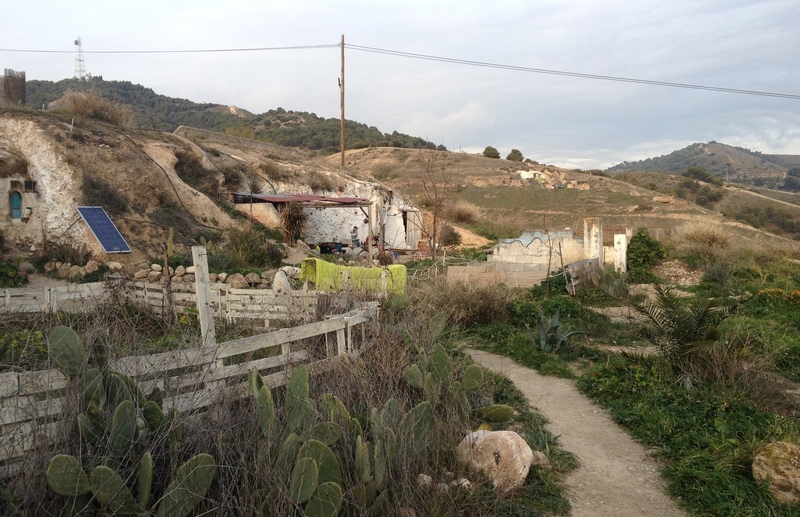 Those of San Miguel have been empty for years and only now they are returning to be inhabited: informally, in a paroxysmal form of reuse as it is within houses without any comfort, stamp, arranged and adapted in various ways. The protagonists of this appropriation are subjects mostly coming from the northern Europe, new hippies or new antagonists. In contrast with the past, this subject is not excluded, marginalized, necessitated to be invisible and hidden. Neither he lacks of cultural and relational capital. The protagonists are a sort of new pioneers reclaiming space and proclaiming themselves heirs. This fragment of the city, is no longer a place of marginalization. It is a place countered by the clash between institutions and inhabitants whose stakes its normalization. 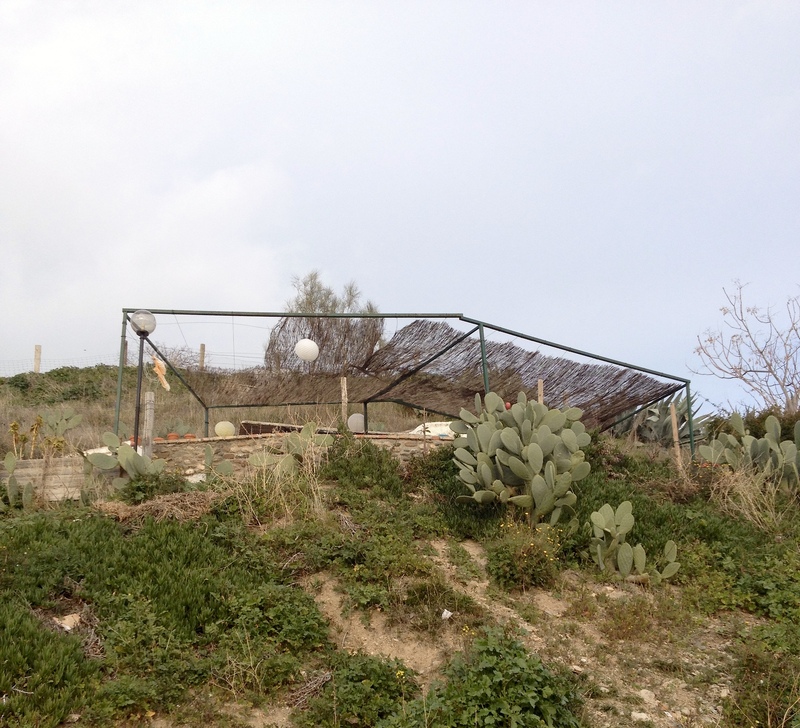 Only two years ago the attempt to dismiss the new inhabitants, walling the entrance, failed. 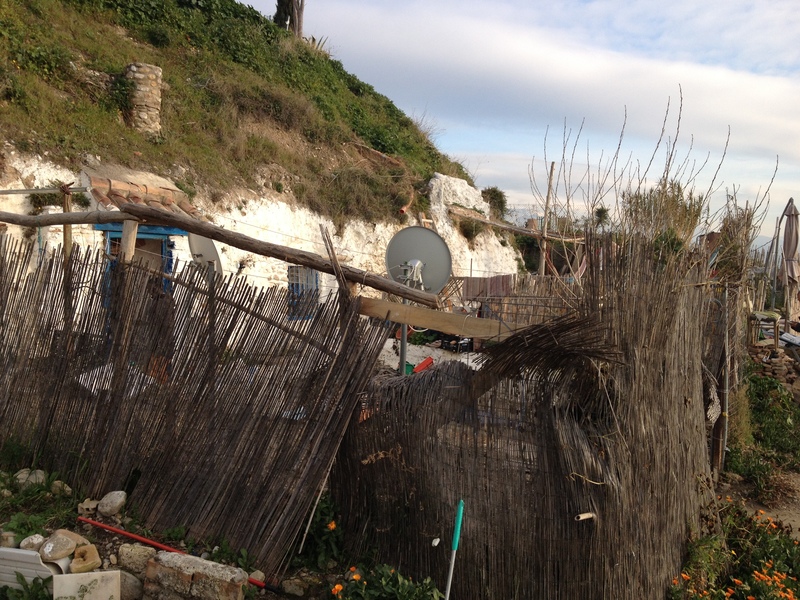 In August 2014, other evictions with the police happened. 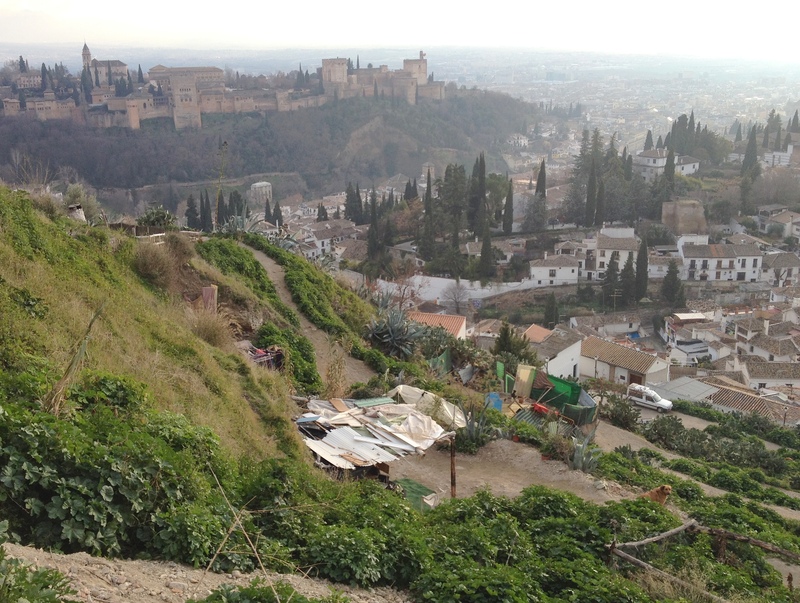 Today some cuevas are still walled, others have returned the be inhabited and have regained the views of the Alhambra.